We will build an attractive and eye-catching layout website with new technology mixed up. It will help to increase targeted leads and conversion rate. As well as we know the first impression is the last impression. Websites with a responsive design adapts to any screen size quite efficiently. There is no need to create a different mobile site for an enhanced mobile presence. Organizations can have only one specific website with a single URL, and single set of codes and files to be maintained. Rank Trends is one of the best website design and development company in Bangladesh. Designing and developing a website for the business is an important decision. A well-designed website provides an ideal platform that allows potential customers to interact with the organization. Therefore, if you want to build a good personal or business website to introduce the business to the world, choose Rank Trends web design services. We not only best website design and development company in Bangladesh, but we also the best web design company in the world. Many times, a decision has to be made between designing your own website and hiring a web development company. Most of the large enterprises may not consider the services of individual freelancers – they normally opt for full-fledged professionals to design their website. Many benefits can be generated from a site that has been designed by Rank Trends professional web development company. The design is an important choice for many businesses. Rank Trends web designer agency who can design visually appealing sites should be a priority for business owners. Owning a website provides an affordable platform of promoting the business, its products and/or services online. In addition, it offers an effective way of targeting the niche market from around the globe, offering them full access to the organization’s products/services. Through the business’s site, online visitors get the opportunity to submit their orders and obtain instant responses. The business processes the orders and delivers the products to the customers. Nevertheless, to benefit from effective e-commerce it is advisable to have a well-designed e-commerce website. Therefore, hiring Rank Trends professional web design agency can help to generate a well-built e-commerce site. Hiring Rank Trends web design and development company in Bangladesh helps the company to focus on its core business by taking advantage of expert services. In addition, hiring us as a website developer company provides access to other important services including maintenance, web management and redesigning an existing site. Unlike the pre-designed templates normally utilized by many designers, professional designers’ custom design websites from scratch. This helps to set the business above the competition. Our web design and development company in Bangladesh construct websites that are shopper-friendly and SEO friendly. Online shoppers will be able to place orders from the e-commerce site 24/7. A properly designed e-commerce site will help to generate a profitable base of revenue. Furthermore, our web design and development company in Bangladesh create websites much fast. Moreover, Rank Trends web developers can increase web traffic. They have important skills required in coding. This helps in improving the position of the website with the preferred search engines. If you desire to feature a basic website or an e-commerce site, you need to hire the services of a professional. The professional is proficient in CMS development, integration, social networking application, and other web-based solutions. The outcome of the design project is a properly designed site that helps in generating maximum returns on investment. We are the best web design company in Bangladesh. If you own a business, you should probably already know how having a dedicated website can give a boost to your organization. There have lots of people searching web design agency for full fill their all requirement. Also, they are looking for a web design agency that can build a professional website. With so many web design company in Bangladesh, finding one should not be a huge task. But finding a reputed and professional agency like Rank Trends is too much difficult. A website should also be parallel to the brand that we choose to build and hence a web design agency that is capable of bringing our ideas to life is the one that we should be working with. In the following section, you will find some of the key advantages of using Rank Trends services of an experienced professional agency. A website design company in Bangladesh that has a professional approach can produce a website which is easy to use while reflecting your professionalism. Badly designed websites can cause great harm as most people get the first impressions about a company through their website. Websites which are hard to navigate are more than often completely neglected by the target audience. As there are literally hundreds of other websites which offer the same things and are easy to use. Our website design and development company in Bangladesh has high experience and high skill expertise. This attribute of a company comes in very handy when we need to build a customized website. For example, if you want your website to act as a place where people can buy your products, you need to work with a website design company that has knowledge and experience in working with E-commerce solutions. Experience also gives a company the ability to match any kind of requirements. If you’re planning to get a business website built, chances are that you will also need services like SEO to make the website easier to access. With the help of SEO packages, you can ensure that your website and its pages are easier to find on search engines like Google. If you want to connect with the right people and let them know that you offer products and services that satisfy their needs, then SEO can play a great role by drawing increased traffic to your website. Since web design and SEO efforts are interrelated, it is good to find the best web design and development company in Bangladesh that can act as your SEO agency too. Rank Trends is the best web design and development company in Dhaka, Bangladesh, which is located at Mirpur 12, Dhaka, Bangladesh. Located in North Dhaka city corporation and nearby Mirpur DOHS, this region houses a large number of web business companies. Of course, you can find web designers in other areas of Dhaka as well, but Rank Trends is where you would find the largest cluster of digital marketing companies in the city. If you are looking for e-commerce web developers in Dhaka, Bangladesh, you have come to the right place. At the very outset, you need to understand that the e-commerce sector is much different from regular web design. E-commerce encompasses a whole range of sophisticated technologies related to handling monetary transactions online. Regular web designers would normally not suffice for building e-commerce sites. You need to specifically look for e-commerce web designers. And Rank Trends one of the best for e-commerce web design and development. 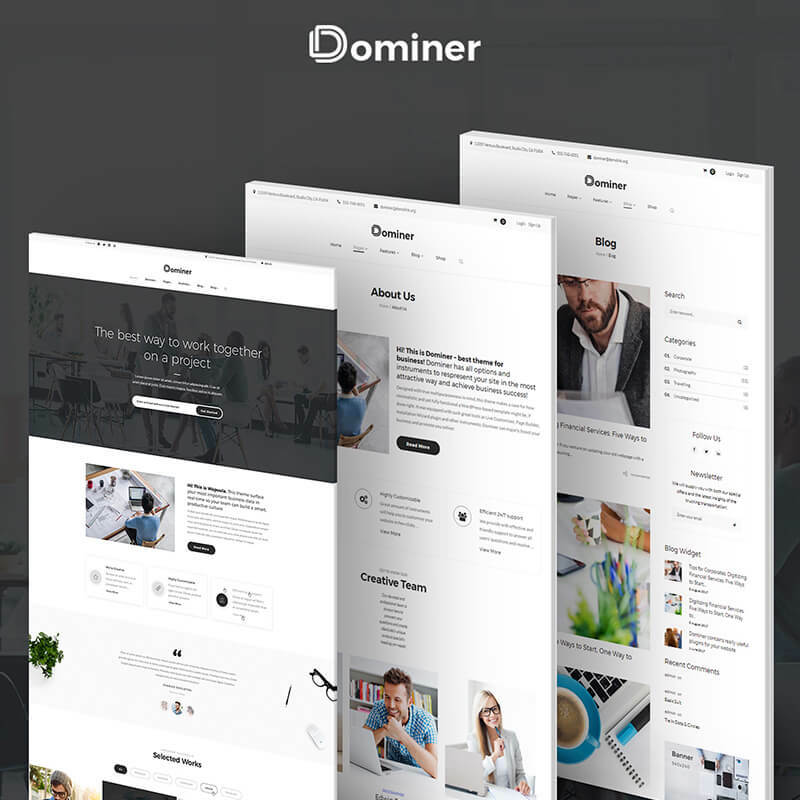 Dynamic WordPress Website packages have been designed for blogger, affiliate marketer, fashion magazine, personal portfolio, digital marketing service provider and small business owner. Also, this package best for the education sector and consulting person. This package has been designed for those people who want to build niche related amazon affiliate marketing. You will get these complete packages with 10000 words unique content. We will research about niche and find our profitable product. 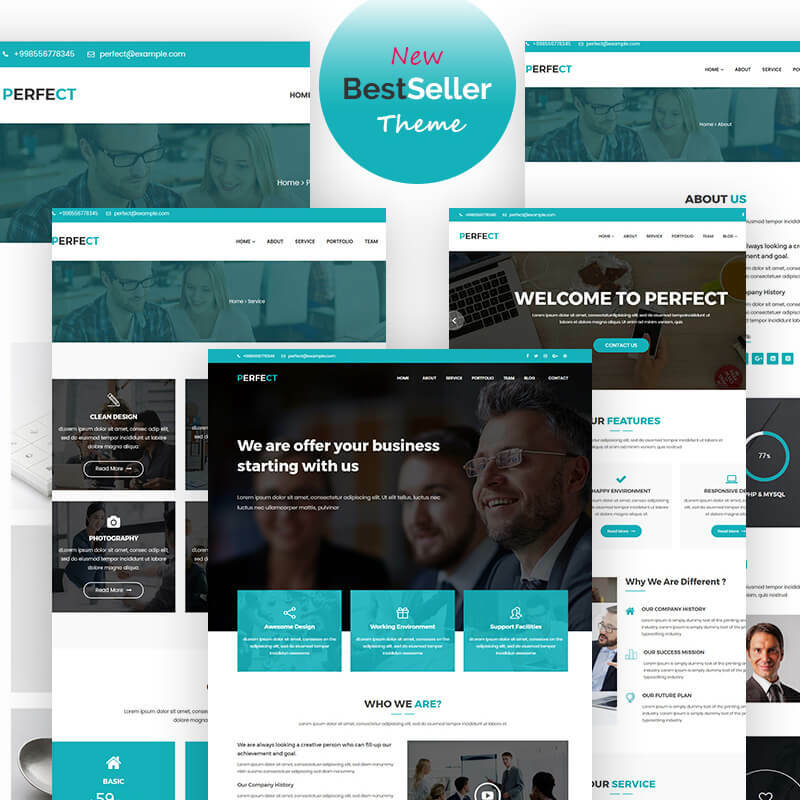 Then we will design a website and build it with a premium theme. If you are looking for ways of providing your consumers with a convenient and efficient means of contacting your company either for commercial or communication purposes, then a website is the best solution for which you’re searching. A website is proven to increase profits, especially for small and medium-sized businesses. Developing a website requires professional help. There are so many web designers in Bangladesh today and choosing the right one can be a daunting task. The process of choosing the right one is not an easy and straightforward task. A slight mistake can be very costly and time-consuming. Below are a few tips to help you choose the right web designer in Bangladesh. All established web designers have one, and if they don’t, chances are they are not established. While client testimonials are reassuring, it is important that you dig a little deeper to see if you would be pleased with the work any prospective partners have completed. Look at the websites they have developed and see whether they fit with your styling and vision. Apart from whether they have the necessary knowledge to develop a website with the functions that you need, can they create a website that will fit well with your brand? Another essential thing to consider is how reliable a web designer is. This industry is infamous for designers who are not reliable. Choose web designers in Bangladesh who have been in the industry for a while, and choose a company that is established and dependable. You need a website designer that will do the project on budget and on time. You need to hire a web designer that is reliable so that you know undoubtedly that you can trust they’ll be there when you need them. A good web designer should be thinking of responsive design, mobile applications, and usability. Then there are copy considerations, digital integration into the business and content marketing ideas. We are not talking about the flashiest and latest website trends that may not be proven, rather how a designer will assimilate the right tools into your business environment. Chances are that your business competitors not only have a website but have SEO strategy, social network marketing strategy as well as an overall online marketing strategy in place. Should this be the case, then you also need one in order to remain competitive. When selecting designers, you’re best advised to ensure that they consider web design as a part of online as opposed to the standalone form of media. Determine which price range you’re comfortable with, and choose a designer that is within that price range. The most vital step in pricing is to ensure the prospective design company outlines all the prices of the work and puts it down in writing. Keep in mind that while the value for your money ought to come into consideration when selecting a company, cost shouldn’t be the primary deciding factor. Selecting designers to work with may seem daunting. However, if you follow the tips above, you can find the most qualified candidate. So, we can say, if you compare the above criteria with Rank Trends, you will get all the above skill. Hence, you can choose Rank Trends as a web designer in Bangladesh for your business. Now that you have a website development project in hands, your next step will be choosing the best web developer in Bangladesh to handle it successfully. This step is demanding since you will have a difficult time separating the best from the rest. Below are some tips that will really help you when choosing the best web developer in Bangladesh right for your needs. Once you have a few names with you, it is important for you to go through their portfolios. Most of the developers in your list will have their own websites containing their details. These details will give you an overview of the kind of work they have done and whether they have worked on a similar project. You can go through the live website and evaluate its functionality and efficiency. You can also get in touch with the website owner and take his opinion on the services of the particular web developers. Personal interaction is recommended if you want to choose the perfect web developer in Bangladesh. It helps you to convey your project brief to them enabling you to get an idea about their level of experience and expertise. Good developers will give you various suggestions and ideas in order to improve your project. Most web developers utilize specific technology to develop and design a website. You should choose those using a widely used platform. This makes it possible for other website designers to work on your website when the need arises. Try to choose a designer that engages the common technology platforms such as WordPress since they are worked by most designers. The cost of developing a website varies from one company to the other. A typical structure may include hourly or fixed rates and pay per page. It is advisable to take into consideration the initial investment since you may get a company with websites that are ranked top with an impressive portfolio but lack the initial capital to engage it. By keeping the above tips in mind, you will be in a position to get a professional web developer in Bangladesh who will take your business to the next level. He will use his experience to give your website the desired functionality and market your company online. We are a reputed SEO friendly web development company in Bangladesh. SEO is the mainstay of online marketing as the best-designed website is useless until it reaches its targeted audience. Optimizing your website for search engines involves a wide range of activities that cannot be incorporated in isolation at a later stage. The best SEO practices begin even at the designing and coding stage so as to make the whole website easily accessible to search engine crawlers. Therefore it becomes important to select an SEO friendly web development company in Bangladesh that provides good designing along with sound SEO practices. Careful evaluation of the following points can help you to pick the right web designing company. But how do you make out whether your website designer is SEO oriented? 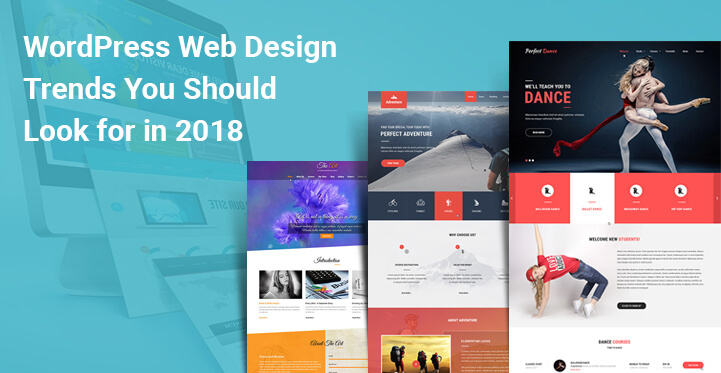 As you search for a good web designer you will come across several web designing companies that promise instant online success and immediate top positions in search engines. However, genuine search engine optimization takes time to show results and instant visibility that is achieved through unethical means or those penalized by search engines can do more harm than good. It would be a good idea to check out the websites of their previous clients, both for design as well as online visibility. This is one of the best ways to study their expertise. A web development company in Bangladesh that lays emphasis on SEO would be aware of the latest search engine algorithms and any updates to them. They would ensure that their own website corresponds to them. There are innumerable websites related to the same keywords that are vying to be on the first page of major search engines. This has made SEO a very competitive and specialized field. Thus, the simplest way to spot a web designing company that is SEO friendly is to locate their own position in search engine ranks. A website design that is totally based on images may have lots of visual appeals. In fact, it is tempting to focus only on vibrant images. However, without image tags, appropriate text, website slogans or catchphrases, strategic use and placement of relevant keywords your website will never come out of oblivion. Online marketing success lies in a judicious mix of artistic creativity and SEO techniques. The use of proper coding, meta tags, internal and external links that are incorporated at the designing level produce a wholesome look that does not look forced or jar the whole impact. A website design that takes pains to understand your product or services and the keywords that are normally used in your sector would be able to attract traffic that converts to tangible sales. Thus, a genuinely SEO friendly web design and development company in Bangladesh will not be offering standardized rates and strategies but will make an in-depth study of your requirements. This is a definite indicator of a web designer’s SEO skills and dedication. Truly professional website design has the perfect blend of eye-catching design, user-friendly navigation and SEO techniques that serve to highlight your website. SEO is constantly evolving and requires designers that keep up with the latest trends along with technological advances in designing. A company that is established has the capacity of expanding its market by simply setting up a website. A new business will be in a position to establish its market niche through a creative website. While other media including print media play an important role in facilitating brand visibility, websites offer the fastest method of providing information about the business. For a well-established business, the right web design helps to offer consistency to the image of the brand in other forms of media. For new companies, a good web helps to offer a strong market presence online. Small businesses often begin by putting up websites which allow for customer views. Furthermore, customers get an opportunity to order and to pay their products online. Online presence makes it possible for the business to offer services any time, even during holidays. An online presence offers the customers an assurance that their needs will receive proper attention when needed. Furthermore, an online presence allows the customers to offer business feedback concerning their experience with the company’s brand. Therefore, both the company and customer will be in a position to get in touch with each other through a properly designed website. Customers who know what they want to buy are normally the well-informed customers who have been able to remain loyal to the company’s brand over time. A well-designed website helps to encourage this relationship. Customers get the opportunity to access products and/or services information when they need it. When the business is willing to share information with the market, the customers try the products/services to determine first hand whether the information provided holds truth. As long as the information holds true, the customers keep trying the products. A properly designed website generates interest in products and/or services. When used in the right way, websites offer an effective tool of marketing that has the capacity of reaching customers in a short time. When compared with TV commercials, web viewers have unlimited time at their disposal. Therefore, they are able to learn more about a product and/or service. A properly designed website has the ability to attract customers, making it possible for them to keep returning for information as well as product/service updates.